Andy-Jones Wilkins and Dakota Jones have both written great articles (AJW’s and Dakota’s) about their race-directing experiences. Since Tarawera has grown to be a pretty big international event in a relatively short time, I’ll throw in a few thoughts of my own. In 2008, I spent the best part of the entire year organising the first Tarawera Ultra. I’d just arrived back in New Zealand from a five-year stint in Northern California where I served my apprenticeship in the Northern Californian trail running scene. 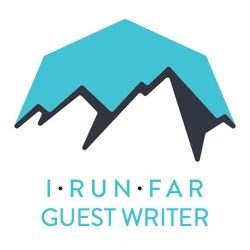 At that time, a ton of things were happening: Western States was filling up at an ever-quicker rate, blogs such as Scott Dunlap’s ‘A Trail Runners’ Blog’ were helping create a community of runners, and more events were mushrooming on the calendar. I was fully immersed in the Western States scene–trail clearing, aid stations, pacing, course markings, and training camps. I did it all. It was a fun and exciting apprenticeship, and an experience I hoped to replicate in New Zealand. In Greg Soderlund, the then-Western States race director, I met a man who was to become (although he did not know it) my mentor. Greg, to me, personified the professional race director. He was a busy man, but he always had time to talk to runners and to explain things calmly and rationally. The greatest example of this was on Thursday evening before the 2008 Western States. With a looming threat of forest fires, I was worried that my first Western States experience would evaporate in smoke. Greg calmly sat me down and explained all the factors that could cause the race to be cancelled or proceed. An hour later the race was cancelled, but I was perfectly fine with the decision because I knew that good, rational people had made the best decision for everyone. Sometimes race directors need to make hard decisions in the best interests of everyone. It was the Western States fire that inspired me to organise my first run. The course was blanketed in thick smoke but the eastern side of Lake Tahoe was relatively okay. On Friday, I printed out a number of flyers inviting everyone to a 25 miler on Saturday and plastered them around Squaw Village. About 40 runners (who were in town anyway) came out and we had a wonderful time, running off some nervous energy. I got a huge kick out of bringing people together. I was fortunate that, when I arrived in New Zealand in 2008, I had a vision that I wanted the Tarawera Ultramarathon to be a big international event–and I have stuck to that vision ever since. The following are some of Tarawera’s key elements. For each elite runner I invite, I weigh up country, main sponsors, social-media presence, and recent form. Another major consideration is that the runner should be super friendly and want to take part in a number of race-week activities with their Kiwi fans. For Tarawera and being part of the Ultra-Trail World Tour, it’s important to have a good representation of top runners from North America, Asia, and Europe to take on the Kiwis and Aussies. I preferentially invite runners (via the UTWT) to help fill gaps if a part of the world is under-represented. I’m always on the lookout for a good story to tell, so any runner who will help create a good story or help build the excitement before race day is most welcome. Before race day, it’s an exercise in making sure the top runners have media opportunities and chances to interact with their Kiwi fans. I am conscious that many top runners rely on sponsorships to train and compete at a high level so I give them every chance to get out there in front of the public. The local tourism industry is a major partner behind this event, so we make sure interview locations and stories also help tell the story of Rotorua and New Zealand. An elite athletes’ barbecue on the Wednesday evening before the race is the place where many of the top runners meet each other and the media who will be covering the event. Typically, we use this evening to arrange interviews, stories, and photo shoots over the coming two days. On Thursday, we have a fun run for everyone and Friday is the official race welcome on Rotowhio marae–a Māori meeting house. The male winner of the previous year’s race assumes the mantle of Chief (only men can assume this title in Māori culture) for this welcome ceremony and is welcomed onto the marae on behalf of other runners. There also an elite-athlete question-and-answer panel, seminars, and an expo. I genuinely worry that the race could lose its soul as it becomes a lot bigger and more international. The true soul of this race is the ‘tangata whenua’–the people of the land. All of the lakes, rivers, and hills of this event are told in oral histories that trace back over 700 years by the many tribes and sub-tribes that have cultural ties to this area. We make sure that the appropriate kāumatua, or tribal elders, are consulted well before each race and they invited to share their knowledge of the area with the runners. It’s taken a few years, but now the local Rotorua and Kawerau communities, as well as the New Zealand trail-ultra community, have a lot more emotional investment in the event and work very hard to ensure that visitors to our region and our country have the best possible time. Basically, you’ve just got to give the locals every chance to express how much they love the area and show off their own local culture. As one example, a group of Kawerau locals are planning to decorate their aid station in a hunting theme. Hunting wild boar and deer is a large part of the local culture–sorry vegan and vegetarian runners! It’s ridiculously stressful and I typically don’t cope very well. I stop eating properly, exercise goes out the door, and I quit doing anything that’s not immediately related to the race. I’m a pretty awful person to be around. The stress exists because I desperately want to create a special day for everyone involved. With so many runners traveling so far to get to Tarawera (38% of the field is international), I feel a massive responsibility to make sure things all go well. To manage things a little better, I quit my regular job last year and have stepped down from the race-director role and into an organiser role. Tim Day is now the race director. My job now is spent in ‘stakeholder engagement’–report writing, financial control, Ultra-Trail World Tour liaison, staffing, fundraising, sponsors, athlete, elite athlete, and media relationships. There are a number of other people that have moved into paid roles to help with dozens of other tasks. We have two governance groups that provide a number of checks and balances as well as a team of coordinators that manages the many different groups. The Advisory Board is a group with governance, legal, financial, and New Zealand major-event expertise. They are tasked with checking that the event meets a number of legal, financial, employment, safety, tourism, and corporate-governance requirements. The Leverage and Legacy Group is tasked with ensuring that the event has a much broader positive impact in New Zealand than simply being a race. It is tasked with finding and creating new opportunities for local business, improving the quality of the trail running events scene in New Zealand, implementing conservation activities, and making sure that Rotorua and New Zealand, as a whole, benefit from the event. We have a number of key staff who each manage a team of their own–this includes the Race Director, Media Director, Safety Controller, Medical Director, Sponsors and Elite Athlete Liaison, Volunteers Manager, and Kawerau Coordinator, as well as aid-station captains, timing, communications, boats, and bus coordinators. Helping make it all happen is a team of about 200 volunteers. Certainly for the Tarawera Ultra, there have been a number of benefits. I was able leverage being part of the tour to get a $300,000 investment in the event (spread over three years) from the New Zealand Major Events Development Fund. The funding is being used to increase tourism revenue, increase opportunities for New Zealand brand promotion, create new business opportunities, and enhance the capability of the events sector. I think the main benefits of the UTWT will be lifting the professionalism for every participating race and then spreading that knowledge out to other events in each country. No single race in the tour does absolutely everything well–we all have stuff we can learn from each other. I am often on contact with Tom Landon-Smith and Alina McMaster at TNF100k – Australia, with Janet Ng and Steve Brammar at Hong Kong 100k, and Craig Thornley at Western States. We have a pretty open sharing of ideas between us. My next big goal is how I can improve the sport of trail ultrarunning in New Zealand. I don’t quite know how to do that yet, but I’ll look to share our intellectual property in safety-management systems, risk management, and operations to other race organizers. The world does not revolve around your race. It may seem like it, but it does not. People have their own lives going on, they may choose to race another event, they cannot make it to a volunteer day, or a number of other things. Let it go. Always remember that everyone is doing stuff in their own lives and often it does not involve your race. Always focus on what creates the best experience. An event is much more than a race. A race is what happens between when the gun goes off and the finish line. An event is the experience that athletes, spectators, supporters, sponsors, volunteers, and your host community have in the months, weeks, and days leading up to race day and afterward. Look to other events outside trail ultrarunning and see if you can pick up any special tips on how they create memorable experiences for their fans. Corporate sponsorship will not ruin your race or trail ultrarunning. Getting real here: there are no buckets of cash coming into the sport and ‘changing everything’. The vast majority of RDs have been running trails long before they organized their first event. These people are passionate about the sport and are rational enough to let their events evolve along with the sport and retain the character of their races. Similarly, a lot of the people involved in ultrarunning brands are also passionate about the sport itself. Hire the most passionate people you can find. Always look for people who love your event and find ways of getting them involved. Are you a race director? If so, what notes or ideas would you add to this article on directing races ‘right’? What’s worked and not worked for you throughout the years? Have you run the Tarawera Ultramarathon? If so, what features of the race did you particularly notice and enjoy? Did Paul miss something in describing his race that you think others should know about? Wow. This is a great insight on what it takes to put on a great race. Thanks for sharing. I can vouch for that Paul organizes an excellent race. I had the pleasure to participate in 2014. With Tropical Storm "Lucy" threatening to cancel the race on the eve of the event Paul and his team and all the volunteers rallied to put on a shortened but still challenging race within 24 hours of the race start. A fantastic effort! All the runners I talked and met (including some of the elite) felt I had been the best possible solution and everybody seemed to have a great time. Anybody wanting to run a well organized race in beautiful nature (you get to run through some really fantastic scenery) and were the whole community has embraced the race should give Tarawera a try. And take the extra days before the race to join the events that are part of race – it is definitely worth while. Wishing Paul, Tim and his organizing team a good 2015 race! I hope to be back again. Paul — Thank you for an interesting and informative article. I appreciate how you and other race directors are bringing creativity and enthusiasm to create unique and desirable races. One of the real embarrassment of our sport, though, is the total lack of visibility into the economics of race events. Races are becoming more and more expensive, while still depending on volunteers for labor and obtaining at least some supplies from sponsors. So I'd like to ask: What is the total amount of race fees that you have collected? How much have you paid for 1) permits, 2) insurance, 3) food and other supplies, and 4) awards? What categories have I missed, and how much have you pocketed at the end of the day for your admittedly very extensive efforts in organizing the race? Or, if you feel that runners should not be entitled to know this information, why not? I'm looking forward to following the race! Sorry I did not respond to you earlier, I was preparing for the race. (all dollars below and in $NZ). These figures are approximate (I will only know a detailed budget on this years race in about 2-3 months time when all the finances have been settled). Since you seem to suggest a lack of visibility into the finance of major trail ultramarathons – here is an insight into the Tarawera Ultra. I expect to make a profit of around NZ $30,000 from this years' race (or about $24k US). At this stage – it's not enough to make a living from. I quit my full-time job a few months ago. Race fees collected – about $270,000. The NZ Major Events Investment is about $100,000 per year for this year and the next. Awards – about $8,500 (note – medals for all runners – no prizemoney at Tarawera). Staffing, safety, medical, medical device hireage, traffic management, trucks, portaloos, tents, marquees, waste management, timing, radio communications, volunteers, boats, buses, volunteers, security, clothing, fuel reimbursements, payments to clubs – about $120,000. Annual capital expenditures – (like tables, chairs, gantry, and laptop, printer in some years) – about $10,000. Other expenditures are way to numerous to mention – but includes cost associated with an Advisory Board, Leverage and Legacy Committee, storage facility rental, travel to other events, risk management, documentation auditing, ACC fees, health and safety audits, professional development, conferences, communications, petrol, internet, accountancy, record keeping,… probably $30,000 to $40,000. Paul puts on on an amazing event! The pre and post race activities (cultural immersion, bbq at his house, pre-race conferences, forest tours, and award ceremonies etc) really are a special treat. Seeing the race grow over the last couple years and meeting some of the wonderful New Zealand ultra running community in the event is really a testament to his vision and the positive growth of the sport.